The concept of ‘Identity’ is something that we are constantly in conversation with. In fashion as in the new collection of wedding dresses fromYolanCris 2019. In the latest designs from Yolanda and Cristina, we can see that they have drawn inspiration from some of the most powerful, successful and inspiring women that we have seen in past years, such as the iconic Coco Chanel and Simone de Beauvoir. 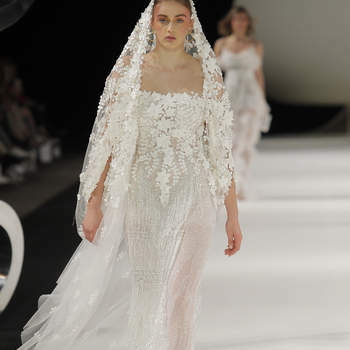 Their line, which aims to make brides feel special on their day, was paraded down the catwalk at Barcelona Bridal Fashion Week last week to some of the biggest names in bridal wear. It features the latest trends in bridal wear, such as transparencies and voluminous skirts that give an elegance like no other. Take a look through the gallery to see which YolanCris 2019 design you like to wear on your special day!